This is a deep meditation that will take you to the 144,000 dimension of Oneness to integrate your Higher Self, and I AM Presence. It will assist in removing lower aspects and debris from timelines that may be within your Soul Body or Etheric Level. This meditation was prepared for the Grand Sextile of August 25th, 2013 but can be used at any time to help in the acceleration of your Merkabah Vehicle of Light. The text that is in brackets represents the visualization in action; italics represent statements to yourself. I call upon my Higher Self and I AM Presence to be active in this meditation. I call upon the 330 Rays of God, 352 levels of the Mahatma, and the 144 dimensions of Oneness to assist in this meditation. Blue, Golden Yellow, White Light, Green, Pink, Ruby Red, Violet, Purple, Lighter Greens and Blues, Violet, Pearlescent, Pink Orange, Gold, Blue-Gold, Violet Gold, Pure White Light, Crystalline Light, Many colors within colors, and no colors within colors are circling around me in waves of light. I feel my own angelic presence and the presence of these magnificent beings. I am beautiful, magical, flowing, powerful, and have great knowledge. I acknowledge all these elements within me. I have fully embraced my angelic self and all that I had forgotten. I now step into the world of formlessness, as elements, stars, the heavens of light, and being on the lands of the planets, water, and wind,. All is being put into wholeness. I now step into the Temple of Oneness of the 144th dimension. The doors open wide for my entrance. I continue to feel all the colors swirling around me, the perfection of my Light is being embellished everywhere I look. All of my timelines, my master guides, my teachers, my angels, and all that I connect with are now .within the Unified Whole. Feel the exquisite joy of being One with the All. I am now met by my Higher Self. I Feel him/or her come towards me. He/She puts their hands on my heart and I do the same to him/her. I feel the connection and the Divine ecstasy of this moment of creation. I now step towards each him/her and we become one. I am now One Unified Being of Light. I know see many Light Beings circling all around me. I stand in the middle and they get closer and closer. I realize that this is my I AM Presence, those soul aspects of the 143 beings of light that I connect with in my prayers. They now move closer to me until I fully allow them to be with me, in my Light Body. The power of their essence and mine blends into One Being. It expands around me. I feel the rays of Gold swirling around me, in front, in back, on all sides. I integrate the Rays of Light that are needed by my consciousness in this moment. I feel my heart as it is expanding further with each breath and each moment of creation. My Soul Star is spinning above my Crown, as my Earth Star is spinning below my feet. The essences that I have integrated are now expanding into my physical, etheric, emotional and mental bodies as my I AM presence encases me completely as I become the Body of Light. I feel the energies from my Soul Star expanding and descending into my Heart and Solar Plexus. I feel the color of Magenta of Divine Love enfolding within me. My Earth star is now spinning with the frequencies of light as they ascend upwards into the Solar Plexus and the Heart. The double pointed star that I am is now encased within me. I feel the spiraling of lights in both the Soul Star and Earth Star as they spin in both directions. I feel the connection of my Merkabah now being activated within me. I now embody the Three Minds of my subconscious with the superconscious to be the Consciousness that I am. The three fold flame is now centered within my heart as my Feminine and Masculine divine are fully activated of the Blue of Will and Pink of Love which is now embossed with the Golden Flame of my I AM Presence igniting my Power. I am the Rays of God, I am the spirit of Oneness fully manifested within my consciousness of Light. I am a child of God and now fully embody this creation within me. 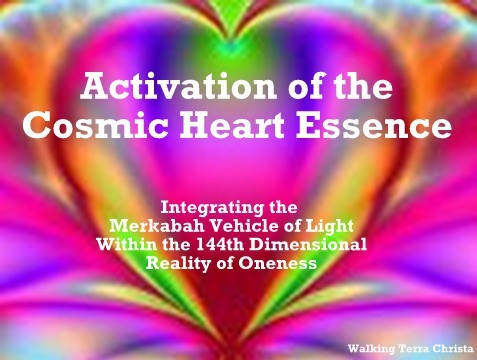 My Merkabah Vehicle of Light is now activated and swirling within and around me creating the Cosmic Heart Essence to be fully activated. I feel the power and love that is exuding within me and around me. I am now within Oneness and it is time to activate it within my physical existence. I thank my Higher Self, my I AM presence, but most of all I thank my physical self for stepping into this moment of my creation. I AM One within the Unified Whole of Light with all beings of Light. 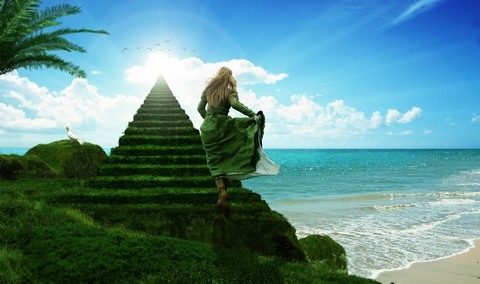 [It is now time to leave the Temple of Oneness and step back down into the physical reality]. I take everything I activated and allow it to become One with all that I AM. I Feel all these elements become One within me. I have activated my Cosmic Heart of Oneness. I breathe and feel my essence. 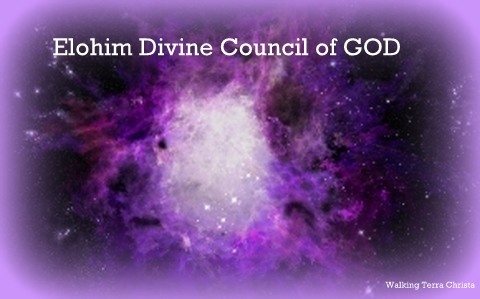 On August 26th, 2013 our guest speaker for the Clarion Temple of Oneness will be the Elohim Divine Council of Light. This is the group consciousness of all of the Elohim Masters of the Seven Rays of God. The Seven Mighty Elohim created the planet from elemental light substance, as a beautiful and shining habitation for the children of God, who desired to learn how to control the use of energy and vibration upon it. Unfortunately, the ideal of this creation did not last as we experienced during the Lemurian and Atlantean timelines. We are arriving back into this same juncture of time to re-write what went wrong during those lifetimes. Each of these supreme Beings fully knows what it is like to be within the body. They have an understanding of the Earth Journey but yet incorporate the highest essential angelic essence that anyone could embody. They work directly with each of the Seven Rays of God to impart to humankind their essences of Light. They stand by to assist each of us to understand our own unique pathway so that we may accelerate our physical bodies into the creation of God’s Light and remember our own angelic presence as it is being manifested within us presently. Ray 5 – Cyclopea & Virginia – The Flame of Concentration, Consecration, Healing and Music of the Emerald Green, Gold and White Light. Together they bring to us all of these qualities within the group consciousness of the Elohim Divine Council of God. We look forward to having them share with us within the Temple as Sunday, August 25th, 2013 represents another high activation day of GAIA’s Merkabah being initiated for her Light Body. Each of us is going to be quite affected of the Light frequencies that will be infused within the planet during this day. The Elohim will be assisting us in balancing the present energies that we will be integrating during this next phase of acceleration. Blessings and Love to each and every one of you. It is our honor to be part of the ceremony within the Temple of Oneness. 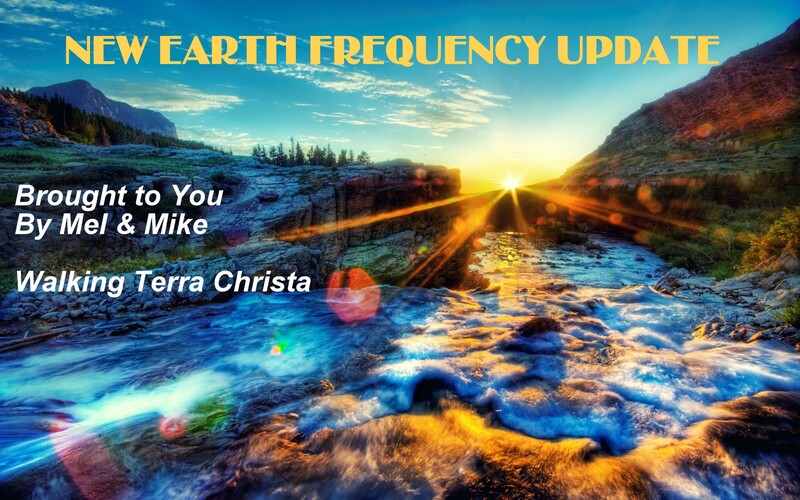 We have spoken previously in the temple but this week will be extra special due to the frequencies of light that are going to be expanding within the consciousness of the Earth and all human beings. On August 25th, as many of you know is another powerful activation to help humanity align with the peace and joy of the Celestial Heavens unto the essence of GAIA. We have to thank each and every one of you for your work on this planet and holding this light so diligently as the frequency would come but would not be able to be held in such supreme efficiency without all of your assistance at this time. Being upon the planet is one of great sacrifice due to the energetics that is occurring within and around the galaxies. Each of you have arrived with your soul contract in hand to assist GAIA with the creation of light deemed appropriate through your available gifts that you share with others. Some may still be wondering where their gifts lie and how to go about the new challenges within their world. But yet, every human is feeling the shift of higher consciousness although they might not consider it a change within their thoughts. Lives are being changed and accelerated in the way that is best for each person on an individual basis. Many will not understand the changes they are experiencing which is where we come in to assist. Each of your pathways are very unique. You have stepped into this world with many gifts and many are still meant to be opened when you are ready. You are stepping into a world of unknown energies but yet you are moving forward. When you don’t allow the obstructions that come in front of you to fully stop you from the process, that is true mastery. It all takes time and is not easy to understand the process. Changing from a 3rd dimensional state of existence into a 5th is a challenge within itself. This not only means how you think and feel but actually changing the structure of your bodily functions. At the same time, the thoughts that can interfere in the process will try to do so. It is imperative that we always keep a high ideal of light to be infused within each moment. Without doing so, then we will have a tendency to fall back into the old thought patterns that you thought were gone out of your consciousness. The duality is occurring within each person and the test of allowing your higher self to be the deciding factor in all of your thoughts and feelings is something that needs to be utilized consistently. Practice makes perfect and this is so very true. We come to you to assist with the clarity of your mind with the deepness within your heart. This is when the Higher Mind and Heart are in full alignment. During this time of high acceleration, it can be a challenge to continually keep the pace of the highest vibration that you can create within your consciousness. It takes much effort to continue the process when the energies around you are not allowing for the full integration of the light as you would like it to be. We want to help you continue the pace of the vibrational essence that you are bringing into your physical body when the activations occur so that there is a more balanced state of awareness. When you are able to create this scenario within your four-body system it will help to align all the bodies to become One Body of Light. We hope you will join us on Monday evening within the Temple of Oneness as this is going to be our focus at this time. The Clarion Temple of Oneness is held on Monday evening at 5 pm Pacific, 8 pm Eastern. You may join this call for a small fee of $11 or $22 by registering, http://walkingterrachrista.com/classes/clarion-temple/. If you cannot attend the LIVE call, an MP3 download is also available on the web page. We hope you will join the LIVE call. We are coming into another powerful surge of energy that is being ignited on the planet, and it is my pleasure to share some thoughts about this alignment which is the 2nd activation of the Merkabah or the Star of David means for each of you. When these activations occur, you must understand that the information that is channeled is directed through the channel themselves. This has always been the case but since the veil of forgetfulness and the veil between our worlds has been lifted there is so much confliction that is occurring with the information that is being presented by so many people. And, yes, this is a channeling through Rev. Christine Meleriessee. But let me give you a little bit of background information on her journey. She came into this Earth very gifted but did not take on those gifts until her mid 30’s. She has a lineage of powerful timelines for thousands of years and when she took on this role, she knew she would have to heal those timelines. She stepped into the world of ascension 20 years ago when it was very new in the public arena. She accelerated herself through deep healing continually when there were not energetic activations being integrated within Gaia. Gaia was hurting at that time as most of humanity. But she continued on her own pathway with the help of Dr. Joshua David Stone and took action to be ordained through his work. She lives and breathes the mastery pathway but has a deep connection to the angelic and faiery realms, elementals, Native American, and more that I cannot even count for her. But these are timelines that she has worked through. She awakened at a very early age but what the energies did for her was to make her look deeper within herself. She endured many challenges of almost death and being penniless because she had to experience those parts of herself in order to accept the divine heritage within this body as Christine. She accelerated herself through being activated with the Ascended Masters, Divine Mother and Father God as the Cosmic Great Central Sun, and now the Unified Whole of the 144,000 dimensions of Oneness. She works very hard and it shows with her teachings along with everything she shares with others . I need to share this information as it is a requirement of all individuals to understand where a channel comes from. I do not share this to be pompous or egotistical or else I would not be here with her in this moment. She is an attuned being of the Melchizdek Order and the Metatronic Solar Angels. She had to remember this status in order to acquire the level of communication that she does. I do not share this lightly but with great reverence. Now, when you read or see a video from a channel, what do you feel? Do you feel my essence coming through these words? If you find that you have a headache or feel sick to your stomach, it is a are key sign that what you are reading is a lower vibration than the one that you are presently inhabiting. Meleriessee has been guided not to read too many other messages but she does sometimes. Then she can become very affected and has to clear through her healing tools. Her vibration is very high because of the work that she has done, and I know many of you would attest to this fact. Meleriessee will not write these words but they need to be said. I decided to come forth and share this essence, because it is badly needed at this time upon the Earth. Everyone is coming out of the woodwork sharing their message but where did the message come from? What is the vibration that is being exhibited through the message and who is the channel? Do some research and find out some background information on the person that is bringing forth the information so that you can ascertain if it is truth within your reality. Please be aware that not everyone can reach this level of communication, but they will in time by working through their ascension tools. Be aware that lower entities can also say they are myself, Saint Germain, or any of the ascended masters. Discernment is the rule of your world presently. On December 21st, 2012 the Unified Whole was open to the entire Spiritual Hierarchy, legions of Angels, Christed Extra-Terrestrials, Inner Earth, and all beings of the Christed Self to speak from this essence. Many beings that bring forth information still had the sense of pantheons in place from the old timelines that still exist on the earth; one of them is Lady Isis and another is Jesus along with Master Thoth. Then the Ascended Masters also can have lower frequencies as they impart their knowledge from the Earth’s atmosphere and not within the higher confines of the dimensional frequencies. It works this way; when a spirit is coming from the 10th dimension then that is the frequency they are imparting. They are bringing forth their knowledge from that timeline or level of creation. This was fine for quite some time but in the last couple of years all Christed Beings went into the Unified Whole. This means that they are bringing forth knowledge’s from the Oneness that we are all part of but adding their essences of the timeline that they are from. There are no lower thoughts from that dimensional structure as it represents the Creative Source of Oneness hence where we all come from. All walked through this doorway on December 21st, 2012 and it was an imperative stage. If an individual is channeling someone of the 10th dimension, and that Being has not walked into the Unified Whole to be part of many essences together, then they are only receiving a small part of the information and it becomes filtered with the darker energies ensuing upon the planet and lower dimensional levels. It is infiltrated to create fear, isolation, but yet the message is quite the opposite. It is programming just as your television does the same. It keeps you stuck in the 3rd dimension even though you feel as if you are moving out of it. I explain all of this because at this time; many are writing that all darkness is now leaving the planet and that each person that has soul attachments to his body will be removed by the angels of the light. This is only partially true. We are in a stage of transition within GAIA and each of you is part of the changes. The forces of Light within the Angelic levels of Michael, Gabriel, and others are stepping forward to remove the dark forces within the planet through the programming effects like your weather patterns, and the changes of planetary structures that are being controlled from the highest level of the non-Christed Beings that have had a hold on this planet for eons of time. This has been in place for quite some time but with the advent of the Star of David being put in place, GAIA is receiving her light body in the rawest form. These forces of darkness will be revealed and are being asked to leave. Many may not do so but it is a very important beginning. Diligence is necessary at this time. The higher vibrational essence you hold within your body, the easier it will not feel these essences. What is happening is the higher beings in control are being asked to surrender. It does not mean that all the workers are going to do the same. So it is your responsibility to fully continue with the process of your higher vibrational light within your four body system, purge the elements that arise, and continue the healing process. As for the entities that are attached to the souls, these are usually related to past timelines from each individual person. The energy is helping to remove them but it is up to each person to do their own part. As the higher command of the dark forces are released from their positions, it will depend upon humanity in how it all plays out. Remember there are many levels within each organization and this is just the beginning. Your protection is essential and even more so with the higher vibrations being infused within the Earth. Many share that you as a species do not have to do anything. This is infiltrated information. The process of your pathway is contingent upon your own ability to see the smoking mirrors. Every human must go through these phases and we know that not all will be able to do so. Please know that it is getting better but our work is far from over. Please discern what you are sharing or reading from others. Feel the essence that is coming through the screen into your own vibrational energies. Continually raise your vibration; don’t stop because you think we are on the New Earth. We are far from it but we get closer every day. The essence of this year represents synchronicity and this next activation truly shows that to everyone. Look at your experiences and how things flow for you. This is what is meant by being in the flow. When elements come up that do not align with this essence, be aware that it needs to be taken care of. You are healing others by doing so and more will awaken into themselves. So now the darkness is being removed layer by layer just like each of your essences that do not fit who you have become. We are all working together in ONENESS and not of separative thinking. That is not going to serve any of us. Ask your question if this material is in Oneness of the 144th dimension? What do you feel or sense within yourself. Take a deep breath. If you need to count upwards from 0-144, please do so. Or tap your fingers on your Heart or Third Eye to raise the vibration. Then you will know because you are sensitive and open to other dimensions of light. 000-144-000 Unified Whole Offline. Thank you for your divine assistance. The power of the present energies cannot be measured except within each individual person. I share all of this because I feel it is necessary for everyone to be responsible for what they are reading, seeing, and receiving as everyone else feels it when it is not appropriate. The truth shall be known by each individual soul and not all will understand or accept my essence today. I stand with each of you as Lord Metatron to assist you in accessing your Solar Light that I share with you each moment. Your soul understands the process; it is just that your lower self is not ready to accept it for the total truth in all matters. Breathe and allow your essence to combine with mine. We shall fly through all obstructions with the power that we have within each other. If you would like to learn more about our Protection Protocal, please see our special programs we offer, http://walkingterrachrista.com/classes/protection-protocals/ or check out our video on the Unified Whole. http://www.youtube.com/watch?v=_6to86FzVj0&list=TLKf2nfH3SXSo. Acceleration is the name of the game this summer especially since the last full moon of July. Now we are in the midst of the full moon of August with the same attributes as it is in Aquarius once again but within the Sun of Leo. Going within and taking care of ourselves or helping others. Balance is the key to our existence presently. Since the Lion’s Gate we have gone through a tremendous cleansing process and will continue to so. On August 25th there is another activation of the Merkabah energies lining up to assist in yet another portal of light to come into the planet. I am not an astrologer so I do not understand what this energy means from that specific perspective. What I do know about is energy, how it is perceived through psychic frequencies, and how we are affected within our four-body system as the accelerations occur within our physical existence. Changes are happening and these activations we are going through on the planetary level are not going to change. What needs to happen is that we learn how to live through the activations and find the best possible way to have a more balanced approach to the energies. The reason that we are experiencing intense changes is that we need to go deeper into our Core Essence to find our heart which will illuminate the Cosmic Heart of Oneness. Please know that these energies are extremely powerful so it is up to each individual person within their own essence to allow their Divine Higher Self and I AM Presence to guide them through the powerful activations. When we do not reflect on whom we are becoming or understand the process, then we become confused. This is when the energies will push us further; the resultant feels will be a spiraling-down affect into our lower self which can cause ill feelings of despair and deep confusion. Through this process it is essential to connect with our Higher Self, work with ascension tools to continually build a strong light body so that the elements within the Etheric Body can be removed and released as you become the Body of Light. It is our deepest pleasure to be with you for the next few moments. We are again coming into another grand cycle of completion which is assisting the planetary structure to make the necessary changes to align the grids of the Cosmic forces into the Planetary Gridlines. Each of you knows what the Lion’s Gate represented within the Earth and for each of you individually. This doorway allowed you to receive the highest available frequency to allow your alignment of your Higher Self and I AM Presence to become more accessible in your consciousness. We use the word CONSCIOUSNESS very carefully. Some individuals that are bringing forth information have an understanding that with these alignments every individual will be affected within the Earth body, that lower energies will be removed immediately along with all lower thought forms. This is partially true but only in conjunction with the Will of each individual’s Higher Self and Soul Essence. Some others are thinking that the grand alignment is about to occur within the Earth that will allow individuals to ascend immediately just by being in the perfect space and time. This is also very untrue. What is happening is that the planetary structure is shifting into a Cosmic alignment which is allowing GAIA to prepare herself for the ascension process. Now each of you understands what this is like for you individually, then you can imagine what it is like for an entire planetary structure. This can cause upheaval in some areas which creates discord and in other areas, there can be the state of pure bliss. All of this represents what each area is experiencing presently, the types of people that are located within the geographic structure, and whether they are God-based or Fear-based. This is the resultant energies that occur within this alignment. Now take that information and put it into an individual basis. As each soul is evolving, not everyone is ready to move forward within their spiritual connection to the God Source. This means not God as an overlighting being telling everyone what they should be doing. But the Source of Light that is beyond God that each of us originated from eons ago. The power of the alignment of August 25th represents the Star of David just as a symbol of Unity upon the planet. It depends upon each individual person, how they relate to God within themselves and how the transformation will assist or de-assist them. It is the 2nd phase of the Merkabah is being activated within the planet which means that GAIA is readying herself for her Light Body. We say, “readying” because there are many phases of the Light Body. This is the very beginning of her accepting the Light being infused from the Star Nations to become totally aligned within the Universal Structure. This can cause elements to either come into balance or out-of-alignment. The alignment of the Earth is changing and allowing the higher infused qualities to be integrated within her essence. In turn, the lower forms are being shifted as they will not be in alignment with the Cosmic frequencies. The same is happening to each soul upon the planet. The Archangels are working diligently to keep everything in balance in the areas that are going to have to be realigned. This includes all the souls that are inhabiting these areas. There is an upheaval that is occurring presently between the dark and light forces. The Christed Galactics are working diligently to assist in this planetary alignment along with the Archangels assisting the humans to accept the Light of God within them. As these battles are occurring, the dark forces of the non-Christed Extra-Terrestrials are being asked to leave the planet.This is only one small division of the lower energies that have infused GAIA and does not include soul attachments to human beings and in no way is the entire structure of the Dark Forces but it is an important beginning. In retrospect, the forces of the lower frequencies are working feverishly through many individuals that are teachers, healers, and channels. The battle is very strong right now within the planet and within each individual. Those that are awakened upon the planet must take responsibility for their own light and dark as the dark can seem much darker than it ever was before. Working within the frequency of the Light in the higher accelerations is the only way to circumvent these energies from infusing each individual. The Ones that will cry the loudest, are the Ones that are hurting the deepest. A battle is ensuing upon the planet within all structures and especially within the New Age communities. They may think they are doing the best for anyone else, but the truth of the matter is the mirrors are cracking everywhere and the Truth Shall Be Revealed. So listen and read very carefully, always discerning if it is a lower frequency that is trying to interact with your energies. We do not share these words to create fear but to instill your Will and Power, the Light that is Within you to dispel the darkness within yourself and around you. The angels will assist you but only if you ask for their help. They cannot interfere in the physical creation of every soul. It is important to bring forth the prayers and the light of the Creative Source of Oneness into each individual from this point forward. The Merkabah Activation on the 25th of August will be a time when the Light will be the strongest within the structure of the planet as GAIA will be receiving her activation. This means that each individual is also experiencing the same process. As the changes occur within you on this date, continue to connect with your Light Divine of your I AM Presence. As what is not cleared, will appear in your body, in your mind, and in your heart. The Archangels are standing by to assist you but again, you must request their presence within your world. Please know that during this time acceleration will happen, but only if you are working diligently within yourself. You may think that your DNA is activating more fully within you as the intensity of the energies will take you into another dimensional structure consciously. Your body cannot accept the activations that your consciousness is receiving until it is fully ready and desirous through your Higher Self. Any other way is out of balance and will cause great harm to your soul’s psychological structure. It works this way: if you are trying to align your Physical body with your Etheric body (your Soul’s Body) through the activation of your DNA, and the Etheric Body is still full of lower vibrations from the many timelines that you have endured (which most of you don’t even know what they were), then you are going to burn up your Etheric Body which is something you do not want to experience. When this process occurs in a balanced condition being accessed through your Higher Self, then the acceleration comes naturally and you will feel the changes of the light quotient within you, but it will not debilitate your physical or mental condition for days on end. You will feel changes which can be uncomfortable at first, but then it will slowly waver off for you to feel the higher frequency. August 25th is a portal of the Cosmic level of energies to be infused within the planet. It will be a time of great potential for many human beings. What you do with the energy is up to you, but be prepared to achieve the desired outcome through your four-body system. We want you to acknowledge all of your bodies that are being healed simultaneously within ease and grace. If you are having difficulty with lower energies, forces within you that are NOT THE REAL YOU, call upon the Archangels and the Ascended Masters along with the Christed Galactics of the Pleiadians and Arcturians to assist in achieving the highest possible experience within your world. You will receive what you need, but you cannot be driven by the lower ego. Invoke your Higher Mind and Higher Heart with the assistance of your Higher Self. Otherwise, the resultant factor will be less than what you desire at this time. Yes, help is being offered through this process of integration. Please share your own assistance by sharing with GAIA what you are feeling. Walk her lands, swim in her waters, and embrace the newfound creative process of this planet. It will help ground you while you are sharing the Light that you are becoming. 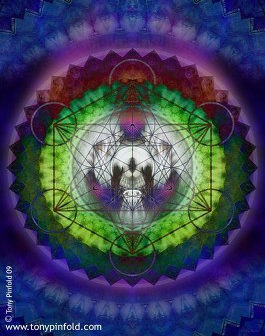 I call upon the Unified Whole to assist me in putting into balance what is out of alignment. State your plea to anyone of us or in the collective energies. When finished say: 000-111-144 Unified Whole Offline. Blessings and Joy I AM One with my Higher Self and I AM Presence within the Unified Whole of the 144th dimensional level of Oneness. We honor you deeply for awakening your Soul’s Essence into your physical body. We walk with you in Joy, Peace, and Light. We are the Unified Whole Command of all Ascended Masters, Angels, Christed Beings of the Light. When I first starting writing this blog, I realized Saint Germain and myself were One Essence. Many of what I wrote comes from my understanding of being on the Pathway of Mastery for almost 20 years but realized that his essence was overlighting the material with intensity and great love for all of humanity. Acceleration is our state of being recently. I don’t think it is going to change any time soon as time is speeded up between the past, present and future. Our crystalline bodies are being activated cell-by-cell, igniting memories, and helping to change our physical bodies to become All That We Are. One would say that it is a very powerful time indeed for all species of the human race upon GAIA even for the ones that are not aware of why they are feeling the way that they do. Mastery represents the ability to not know where you are going but you just continue on the walk towards enlightenment of the soul. It is when we try to figure every step out through our lower self that gets us into trouble of not flowing with the movement of the tides. Presently we are in the midst of the full moon of Aquarius within Leo which is pushing us even further to go into the depths of our soul. This means that we must start to understand the changes that are taking place within us to see what works and what does not in order to assimilate the new Being that we are becoming. If we stay within the confines of our lower self either through our thoughts or emotions, it is going to push us into the darker places within our existence. We will feel the turmoil of the changes through our mind trying to figure everything out. We must stop the Merry-Go-Round and get off as we connect with our Higher Self and I AM Presence to assist us through this process. This is why we like to hear from the Ascended Masters and Beings as it helps us to understand the process that we may be experiencing. It takes us away from the confines of deep despair that can overtake us emotionally and keep us stuck in our old selves. Now is the time to understand that we are becoming the Masters for the New Earth. We must take responsibility for ourselves and the planet that we have chosen to incarnate upon. We become our own internal leaders. This is what this full moon brings to us ~ to allow the creation of our Divine Spirit to become manifest within the physical world. We have traveled far and wide to come to these junctures of time, through the many levels of incarnations, timelines, and journeys to the outer reaches of the many universes of time to arrive into this exact space. We are here to create our new reality. Gaia is changing and we are also changing with her. Each of us must be reflective in what they want to do with these accelerated energies within our four-body system. The pathway of Mastery is at our command but if we allow others influence to bind us into a new paradigm of existence, then we are not the leaders of the New Earth but following someone else’s ideal of ascension. It saddens me to see so much information out in the world that is not focused upon the idea of the Source of Light and that we are here to create that essence upon Gaia. The information that is being shared and taught by many individuals is filtered within the confines of the lower forces that have controlled this planet for eons of time. Those of us that are stepping out of that paradigm are walking a pathway that none that has ever done. This is the most challenging walk that you could ever take. If you are being pulled into another’s way of thinking because you think it is the way out, the way of ascension, then there is still a whole lot more for you to work through in your journey upon this Earth. Ascension represents the ability to DE-SCEND YOUR HIGHEST ESSENCE INTO THE PHYSICAL BODY. Some may think that it is just the opposite that you meet your Higher Self by activating your Merkabah Vehicle and raise your DNA to an accelerated state so that you leave Gaia’s essence even though she is transitioning into a fifth dimensional arena. Some individuals think that one day they will wake up in another dimension and wonder how they are going to take their possessions with them. Along with all of these new ways of activating their essence, great gifts appear to them. Many newly awakened lightworkers have wonderful gifts to share and do so. They are so very powerful and those of us that have been holding the light for this planet for thousands of years working through our inner reflections are in awe of these individuals of how quickly they can achieve such powers within their physical bodies. But yet, each of us are doing the same even though it may be easier for others to do so. What the Starseeds and the Newly Awakened Ones do not realize that they too have come with their baggage to release. They may be new to this planet but we were all created at the same time so where have they been in between? They have traveled in many places and also have timelines to work through. If this is their first lifetime on this earth, they then have to become accustomed to the physical body in human form. It is somewhat archaic in their eyes and may not be able to assimilate all the functions of the four-body system as others that are used to being in human form. Transition is happening to everyone at this time. We all want to be in a higher state of existence of love, joy, and feeling blissful. When we all start to awaken, we are excited to see that there can be a new world to live upon. It is when we really start to walk the journey, that we feel overwhelmed of the work that needs to be done. So some find other ways to exit into a new reality instead of accessing all realities of the self into the existence of the human form we have taken on this lifetime. The lower ego or lower self is the way of existence and rules the mind and the heart. The gifts that higher dimensional beings access can be utilized while being in lower ego, but it is not the rule of the Brotherhood and Sisterhood of White Light. The gifts will come later through the diligence and hard work that is necessary as guided through Lord Sanat Kumara and the Planetary Logos, Lord Buddha. Ascension is not a way to escape. It is about the process of allowing our Higher Self to first become integrated within the physical. At first, it happens in the consciousness and work has to be done to allow it to happen. Then the process continues through the initiations of Mastery. Not all lightworkers step into the pathway of mastery but it is the way to live for hundreds of years, in a youthful condition, while accessing all the spiritual gifts that are available. But it takes great responsibility and diligent practice to sustain the energies. Not all lightworkers will be able to sustain this diligence of hard work. Some will go to the programs that promise enlightenment of raising their DNA before the physical body is ready to handle it. It has all been done before. Atlantis was a major testing ground for accessing these energies and this is what we are experiencing presently. Lemuria and Atlantis are here right now within each of us. We have lived there before whether it was in one or both of the continents. The age of technology and working with the Galactic races was commonplace at that time. We have all arrived back again upon GAIA to make it work once again. It is up to each of us individually how we are going to interact, be within ourselves, and commit to the contracts that are dear to our souls. Ascension is happening to every one of us but not all will be able to commit to the Pathway of Mastery. Mastery represents the Spiritual Hierarchy with the Brotherhood of White Light that was started by Lord Sanat Kumara in Lemuria when the downfall of the energies started to occur. He put the Goddesses and their teachings in hiding so the lower forces could not access them. They are now coming out of hiding but there comes with it a strict enforcement of upholding the teachings of the Melchizedek Priesthood and not all individuals that are ascending are permitted to walk this pathway. The work of accessing the Higher Self must be adhered to diligently. We came into body and forgot who we were. We are now learning to access our Higher Knowledge through our Higher Self and I AM Presence. The pathway of learning about our Soul’s history so that it may be rectified presently is the most important aspect of being a leader for the New Earth. Not all will have the ability to be strong enough or diligent to sustain this journey as it is not for the ones that cannot look at their own mirror and see the inner reflection of the old self. The timelines must be acknowledged and either released or accepted. The initiation process must be brought up through the Councils of Light and all that occurs must always be put into wholeness. The aspect of Oneness comes from the accessibility of the Creative Source of Light that was the defining rule in the beginning. Each of us comes from this source through the Divine Mother and Father God, through our I AM Presence, and our Monad, into our Higher Self then integrated within the physical body. But because Earth has been a low density planet, the frequencies of the Source could not be acknowledged until a person’s consciousness could accept the fact that they were One with the All. When a human wakes up into these essences, they then start to accept that they are more than what they thought they were. They are the God Essence, they are one with all. But in human form it is just the opposite so confliction takes place. It can be confusing to figure out what is in Oneness and what is within the self. This is where the lower ego steps in and an individual fully as to accept the fact that their mind of the human body is not the mind of the Higher Self. So the deep work begins for the Initiate or Chela that is ready to step into a world of tests, initiations, and trials by error. But there is always the chance that an initiate will be so consumed by their lower desires that they think they are more than they are and will not be willing to continue the trials. This is when an individual becomes infused with the gifts they have instead of what they need to go through within the process. This is when an initiate becomes unaware of who they truly are and it creates more infiltration of lower energies to be created within them. This is the Division of the Soul and what we are presently experiencing upon the Earth. It is the choice of each individual soul to understand what they need to be doing in each moment to stand in their own truth and stay within the rules of their contractual soul agreement. We have many thoughts of ascension in and around the world. The only way that an individual is going to access their Higher Self is to work through the process of accelerating their physical body to reach the higher self. Pushing it through DNA activations or Merkabah accelerations help in the process but it is the defining energy of each person’s Higher Self to fully accept the challenges that they will go through. Being aware of infiltration of channels that are not bringing in the highest quotient of Light and that a channel is only as good as his Higher Self and I AM Presence allows him/her to be. Each channel must go through this process in order to receive the highest frequency available and it must be done within the Unified Whole or 144th dimensional reality that is the Source of Light. Anything less than this is questionable and it is up to the discretion of each individual to learn about protection, to access their Gate Keeper through the channeling, and to make sure that the energy is of the highest quality available for that Lightworker to be the conduit of the energies. I have asked Meleriessee to share this information as she is a teacher of ascension, has worked through this pathway for 20 years, and is attuned to the highest frequency of Light from the Source of Oneness for many years. I do not speak these words lightly but with reverence. Each of you have awakened but what you do with that awakening remains to be seen. The discussion provided has been given as a guideline for each of you to step into your own power, your own essence from your Higher Self and deem it appropriate in your pathway. But each of you are being watched from the Beings of Light and we are always ready to assist you in many ways. Your experiences are within your soul’s essence but your human self has had control over your Higher Self for eons of time. The energies of the Earth presently are very powerful but also instilled with much lower frequency that has controlled this planet. It is up to you individually what you want to do with your life and your pathway. The only thing I ask of you is to look within your own mirror and see your truth as it is revealed to others. This is the way that we must adhere within ourselves what we project out into the world. I want all of you to be part of the New Earth Leaders but the choice will be yours. By the way, Gaia is ascending with each of you and leaving her at this time may be part of your contract but I doubt it very much. Again, look within and see if you are accessing the lower or higher frequency that is available to you. In summation, the earth is full of many levels of individuals upon this planet that are awakened. I, as Saint Germain is the conductor of this energy through Meleriessee as I want to help individuals to understand the process of awareness and how important it is to be diligent upon your pathway to be accepted into the Brotherhood of White Light. This is a pathway that is not given to everyone and each person has to be accepted by the merits of their initiations, how they project to others, and to themselves. Saint Germain still holds the 7th Ray of the Violet/Purple Flame with Lady Portia but has ascended into the Mahachohan of all the Seven Rays under the direction of Allah Gobi, the former Mahachohan. This year for the Autumn Equinox we will be experiencing the effects of all our hard work from this year. It is a time to allow the full manifestation of what we have desired to occur to be grounded into our existence. The year of 2013 has been known as Synchronization. In order to allow the alignment of these energies we first have to go through an internal cleansing and processing of our old self to receive the highest outcome of our desires. When we ask for elements to happen in our lives, we do not realize that we come from a space of lack so the end result is usually not what we truly thought we are asking to occur. Let’s make no mistake about it. The activations through Wesak this year prepared us for the Lion’s Gate although we may not realize the full effect of what we experienced. We are now trying to integrate all the energies from the Lion’s Gate as elements have been removed and other aspects are coming into fruition. Dr. Joshua David Stone always called this “finding our missing puzzle pieces”. As we move towards the energies in September we will still be facing parts of our Being to be transformed into the wholeness that we desire within ourselves. The Full Moon in September will be sitting in the sign of Pisces as we travel deeper into the core of our Beingness for the healing that we desire. We will start to learn that what we see must go into the depth of our essence by going into the Etheric level to understand what our Higher Self has been trying to tell us. We will receive parts of our inner self to be sacrificed for the sake of our inner devotion by receiving unconditional love within all levels of creation. This full moon is going to be the catalyzer for us to go deeper into the abyss to receive our desires to be fully manifested. The Equinox will then be a time of pure celebration as it opens up the doorway into the period of Abundance within the Self. The Harvest Time will be acknowledged through our Higher Self’s becoming more active in the role of creating the Full Body of Light and not just the separate parts. We will be experiencing an amazing transformation within ourselves and upon the planet during this time. So what are you going to do to prepare for the best possible experience during this phase of transformation? It is important to work with nature and create ceremonies as the Earth and Sky are united within Heaven upon Earth. Ceremonies are an important aspect to be created as you work with the forces of the Universe to create the reality you desire upon the Earth. We are walking into another phase of healing for each of us that is going to catapult us into the world of magic and synchronicity of everything we experience. Walking Terra Christa is holding a powerful Transformational Journey to assist individuals in doing all that we have shared. In the environment of Mt. 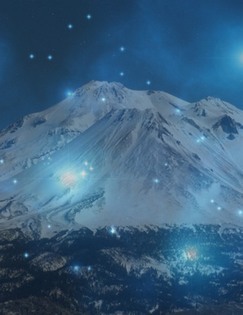 Shasta we will assist one another to create the next phase of our development upon this Earth to reflect our highest ideals within our Higher Self, I Am Presence to become manifested within our physical creation. Mt. 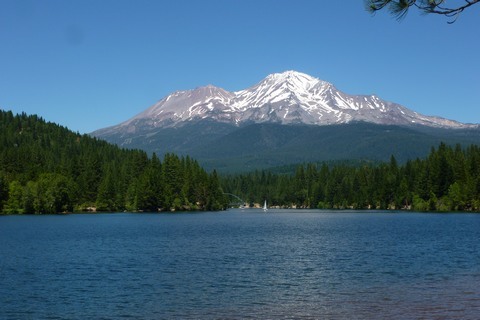 Shasta is now considered one of the most powerful sacred places within the world. Magic happens when you arrive in Mt. Shasta depending upon your intentions. We, Mel and Mike, at Walking Terra Christa would love to have you join us on this amazing journey in which we will work with Saint Germain to learn the Alchemy of the Soul as we walk the lands, connect with the energies, and experience the magical essence of the environment. Lord Adama, the High Priest of Telos is our guide and will share with us the magic that is experienced within Telos so that we can make it a reality within the Upper Earth. Additionally, we will work with Master Thoth for the Universal Laws, and the Elohim Council of Light for the Understanding of Precipitation for Manifestation. Then, magic could not be experienced without the essence of Merlin, an aspect of Saint Germain. We will grow with each other and experience our Divine Beings to become manifest so that our experience upon this earth will allow us to step into the higher initiations with ease and grace. Take a moment and listen to Lord Adama’s presentation of why being in Mt. Shasta helps an individual to accelerate within their pathway of Light. We hope you will decide to join us for this magnificent journey. Please check out our information page on the Transformational Journey, http://walkingterrachrista.com/events/transformational-journey/. If you feel aligned with our teachings and energies, we would love to have you join our Soul Family of Light.